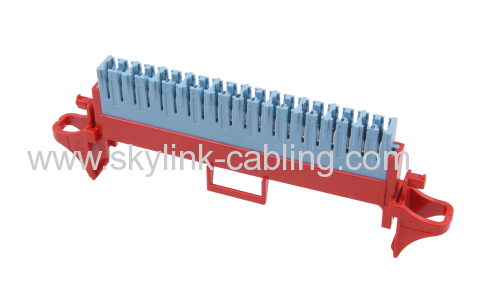 Skylink Telecom is professional copper&fiber solution products supplier from Cixi,Ningbo,China.Which has excellent experience in the development of telecom and network equipment and accessories. And has a dedicated group of highly skilled engineers,designers and technicians. Currently,our best cover products manufactured in more than 25 categories and 250 specifications.Major products include:MDF Distribution Frame,Connection Cabinet,Variety of LSA Module,Distribution Box for Various Modules,Accessories For LSA Module,Wire Connector,Insertion Tool;Patch Panel,Keystone Jack,Variety of Face Plate,Surface mount box,Cat.5e&6 Connection Box,Telephone Outlet,ISDN Adapter,Cut&Crimping Tool,Cable Management,110 Wiring Block;Cat.5e patch cord;Fiber Patch Cord,Adapter etc.We can also meet buyers' customized OEM and ODM requirements.